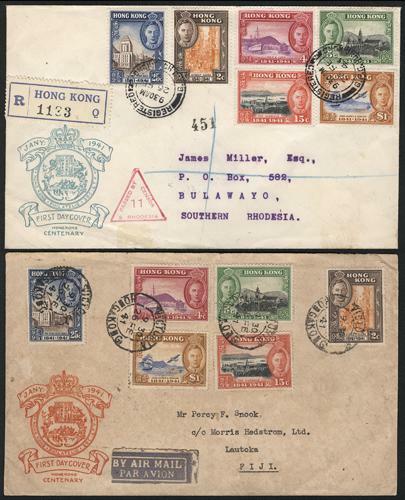 1941 (Feb 26) two Hong Kong Centenary illustrative FDCs (Yang C4), one registered to Southen Rhodesia with censored cachet and one airmail to Fiji. Later one with toning. VF-F.